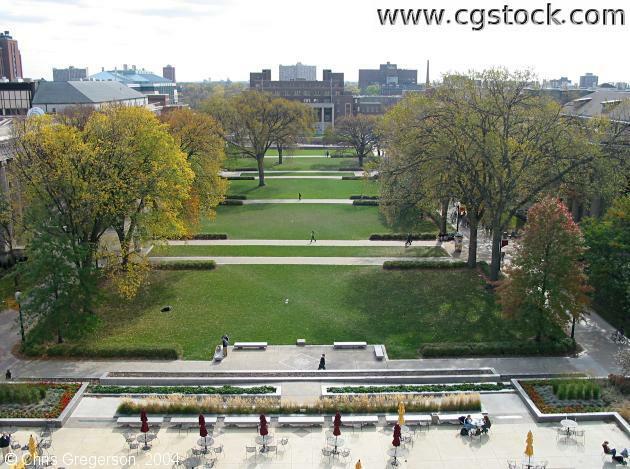 You are looking south over Northrop Mall on the U of M Minneapolis campus. At the bottom of the frame is the plaza in front of Northrop Auditorium. Coffman Union is at the other end of the mall.